The best men’s 4-Wall players on the planet battled for spots in the World Championships/USHA Four Wall Nationals final eight on Wednesday, as R48 #1 and World Championships top seed Killian Carroll set his sites on one of the only major titles to have eluded him and five-time defending champion Paul Brady aimed for his unprecedented sixth consecutive world title and record-tying 11th USHA Four Wall National title. Carroll struggled in game one against a fiercely determined Stephen Cooney, needing 45 minutes to outlast his countryman and junior rival. Carroll was able to make the crucial shots late in the extremely close first game and cruise in game two. 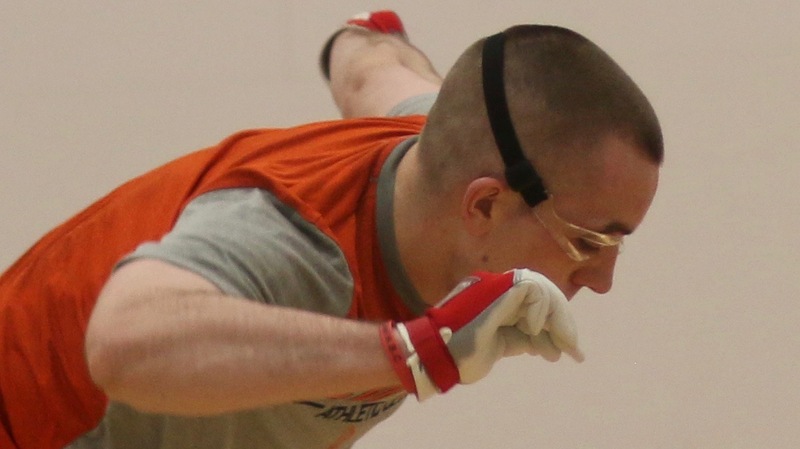 “It just seemed like all of the air in Cooney’s balloon was burst after losing that first game,” stated WPH play-by-play announcer Dave Vincent. Robbie McCarthy and Vic Perez met for the third time since 2016, with McCarthy taking their first two encounters. Very little separated the two power players in game one, as McCarthy narrowly escaped, 21-18. 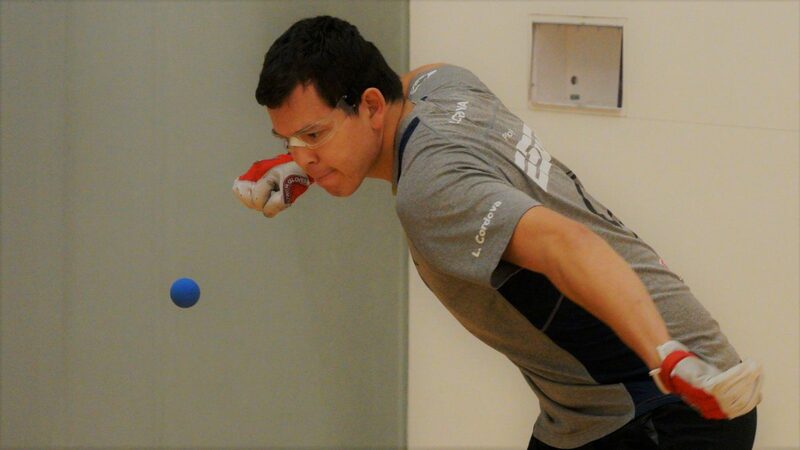 “Robbie really has such a great serve and he gets everything,” stated R48 #6 pro Luis Cordova. McCarthy built a 6-1 lead in game two and appeared to be on the verge of breaking away, but Perez caught “The Buzzsaw” at six and took the lead, 7-6. McCarthy controlled the action from there, scoring 15 of the next 20 points of the match to advance and announce himself as one of the favorites to take the title. “Robbie just hit passes then kills and Vic was never in the right position,” stated Cordova. Sean Lenning entered his round of 16 match against hometown favorite Andy “The Minnesota Dreamboat” with a 3-2 edge in their head-to-head matchups, but it was MDB who took control in the first game, building a 17-10 lead. Lenning changed his gloves and came back a different player. 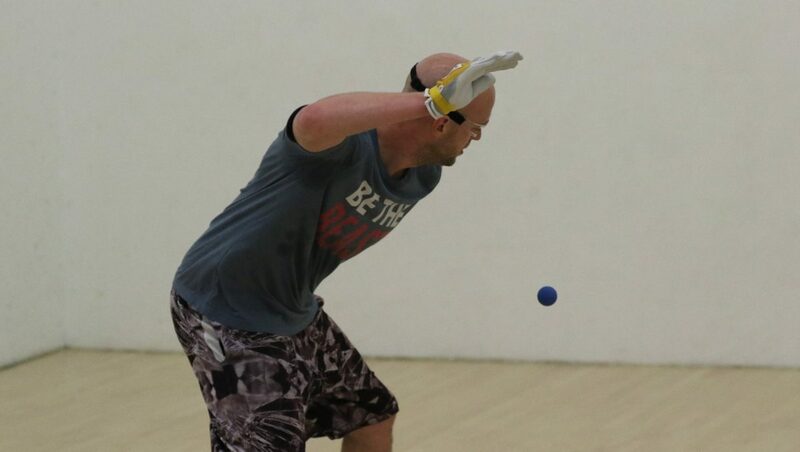 “It looked like Sean wasn’t into the match until that glove change, then he just flipped a switch and starting hitting aces and kills at will,” stated WPH ambassador Rodney Fink. Lenning closed out the first game with 11 straight points and continued that form into game two, knocking the eight-time Minnesota State champion and former R48 Elite 8 star out of the event. 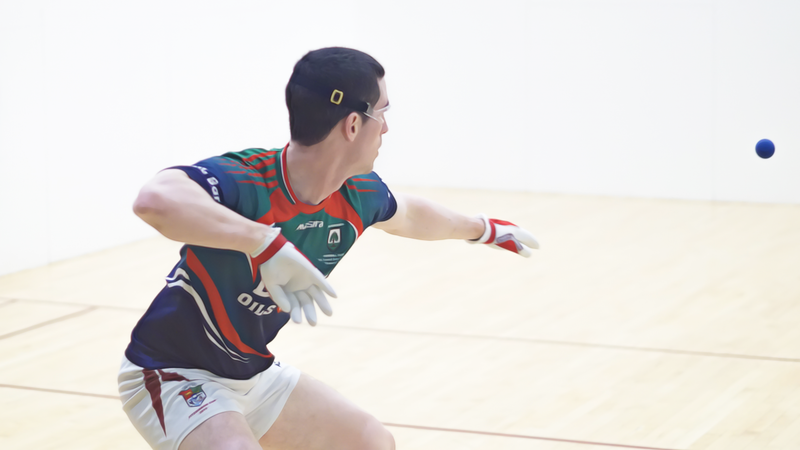 Diarmaid Nash and Daniel Cordova met for the third time in eight months for a spot in the final eight, with the pair splitting their first two encounters in January and May. “Nash Bridges” was sharp in game one, executing a high percentage of back wall kills and paddle re kills to take a one-game lead. Game two became much more physical, as the two incredible athletes made sensational retrieves to extend rallies. Nash stood three points from the win at 18-18, but Danos was able to force a tiebreaker with clutch shot making. Very little separated the two in the tiebreaker, as the score was tied at seven nearly two hours into the match. 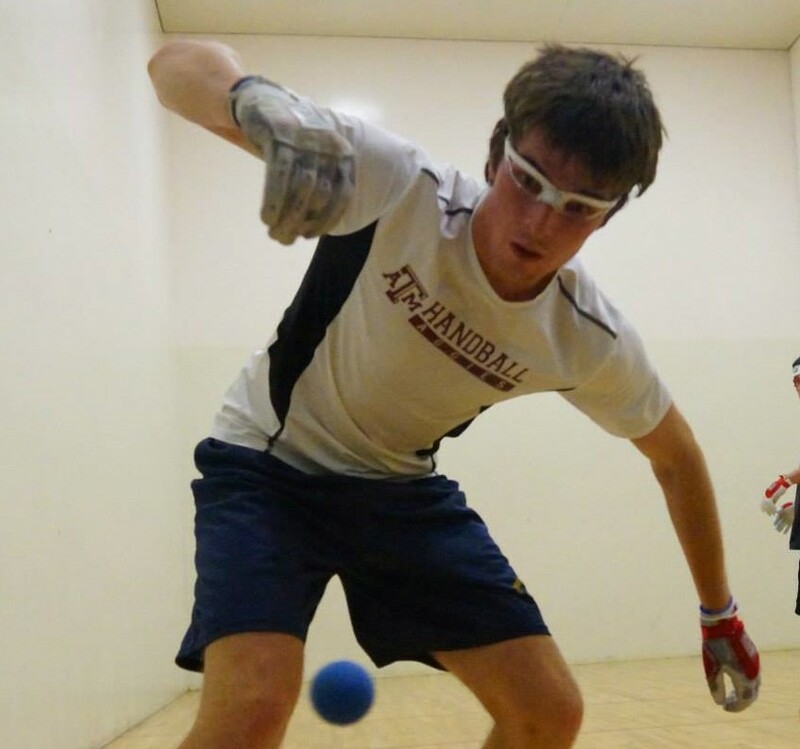 “The tiebreaker was close, despite Nash missing three of four easy back wall setups,” stated WPH reporter Rodney Fink. “At 7-all, Nash was just a little bit more consistent and had Daniel on the run.” Nash scored the final four points of the game to setup a quarterfinal clash with countryman and R48 #1 Killian Carroll. Lucho Cordova and Emmett Peixoto met for the first time in a main draw match with an opportunity to face five-time defending world champion Paul Brady in the quarterfinals. Lucho was dominant from the outset, showcasing a vastly improved power serve to the right and an offensive left that repeatedly found the bottom board. “I was definitely serving well,” stated Lucho after the systematic two-game sweep against Team USA’s 4-Wall singles representative. 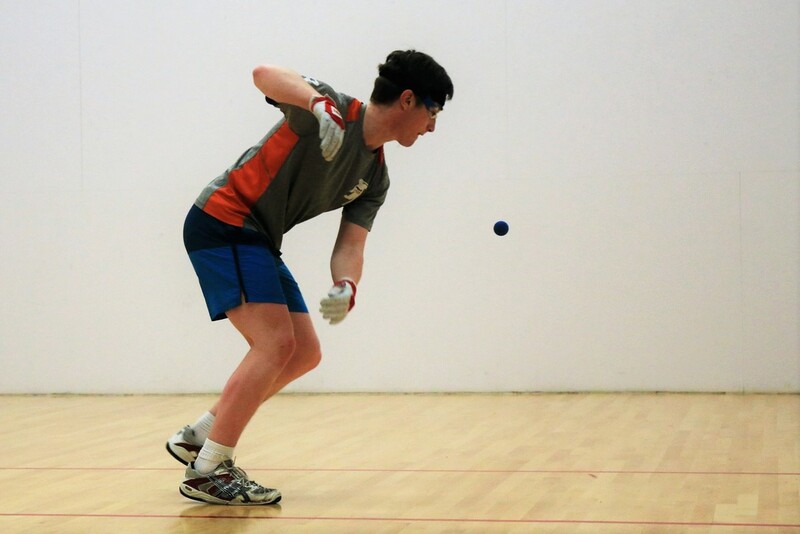 Ireland’s Colin Crehan moved to San Francisco for the summer to train for the championships and the training paid dividends for the youngest player to ever qualify for the R48 in 2015. Crehan dropped game one against the explosive offensive juggernaut Mando Ortiz but bounced back to dominate the next two games, including an emphatic 11-3 blitzing in the tiebreaker. 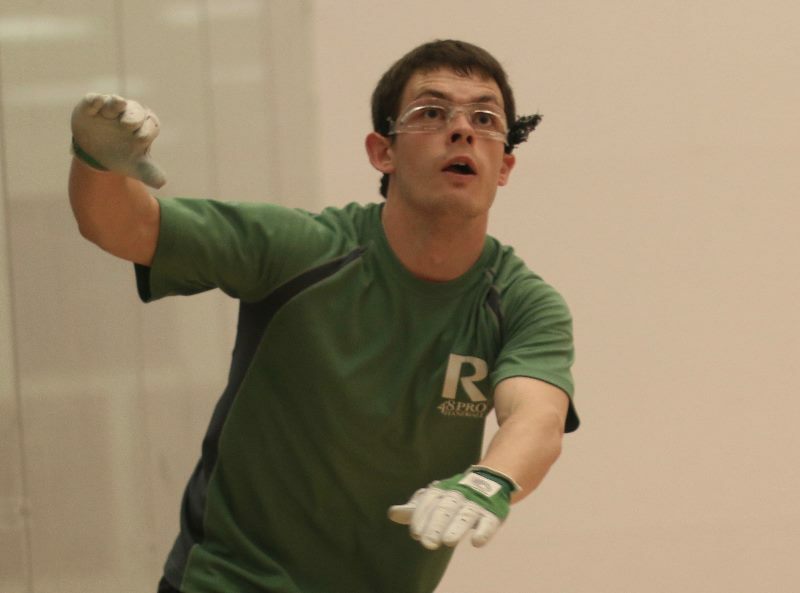 2018 All Ireland champion and Team Ireland captain Martin Mulkerrins had little difficulty overcoming countryman Michael Gregan, as the “Man of Steel” simply overpowered his veteran challenger with 90 mph missiles down the walls with both hands. 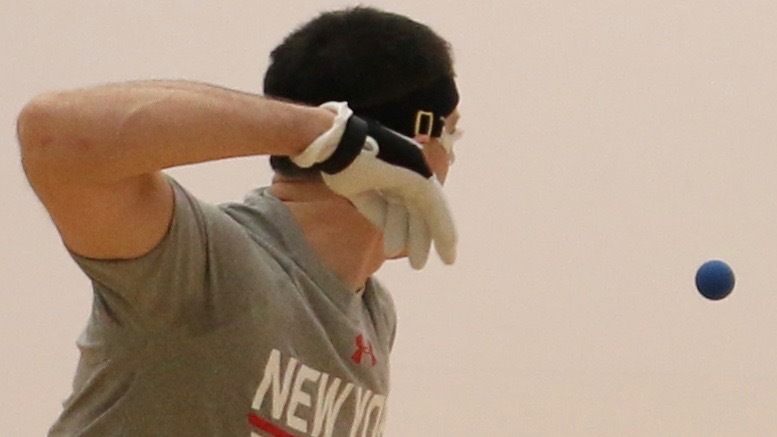 “A lot of people around the facility are saying that Martin is the guy to beat in the tournament and he certainly looked like it today,” stated Dave Vincent. Competition heats up in Minnesota. Paul Brady, Martin Mulkerrins, Robbie McCarthy, Diarmuid Nash (all Team Ireland) and Colin Crehan have all advanced to tomorrow Thursday’s QF’s. Brady, Mulkerrins and McCarthy had all convincing win’s over Erik Torres, Michael Gregan and Vic Perez. While Nash and Crehan came through very difficult tie-breaks to progress to the next round when they overcame Dan Cordova and Amando Ortiz. Also into the QF’s are top seed and pre tournament favourite Killian Carroll, Sean Lenning and Luis Cordova Jr. While Team Ireland’s 4-Wall big guns Aisling Reilly and Martina McMahon open their challenge in the Open Singles event on Friday. Also playing in this event is the top seed Catriona Casey from Cork while other Irish entries are Pauline Gallagher, Ciana Ni Churraoin, Aoife McCarthy and Aishling O’Keeffe.